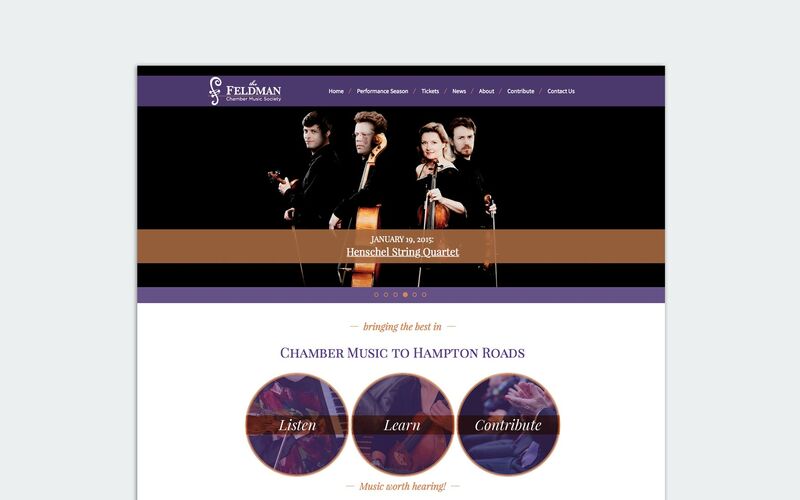 The Feldman Chamber Music Society, a wonderful non-profit that brings world-class chamber music to Hampton Roads, asked for our help in redesigning their website. Their previous site was dated and very hard to make edits. We worked with their president to redesign the site to be modern, easily navigable and editable, and visually appealing. 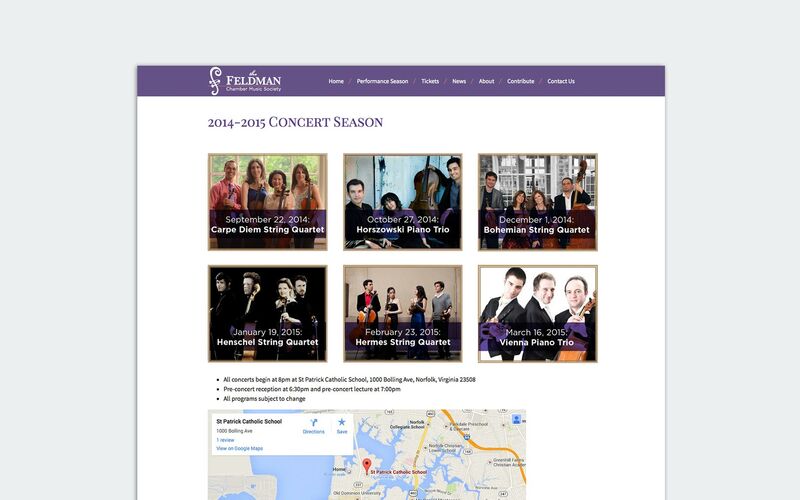 The new site is fully-responsive for mobile and tablets, and also offers the ability to purchase tickets online. We also helped them update their logo to go with the new site design.